Who is your site aimed at? Music Devon cater for students in and around Devon looking for teachers or ensemble tuition, teachers looking to put their skills to good use and schools seeking a wide range or qualified teachers in a variety of disciplines for practical music tuition within their schools. Does it cost anything to register as a student? No, all students can register for free. Please click on the registration link above. We have a variety of lesson structures and lengths to suit all levels. Group lessons are particularly suitable for beginners, and group sizes will vary from 2 to 4. In general groups will be of 2, or 3 after the first term’s tuition. Individual lessons are recommended for students of Grade 5 and above, and for those studying for their GCSE and A levels. The size and nature of groups is at the discretion of the teacher, but always in discussion with the student/parent. Large group tuition is also available. Please see our Lesson Fees for further details of our pricing structure. Do I have to pay for lessons upfront? Lessons are paid termly in advance. The term fee must be paid at least 1 week before your first scheduled lesson. Do I have to do lots of practice? Learning to play a musical instrument, like any skill, requires practice. 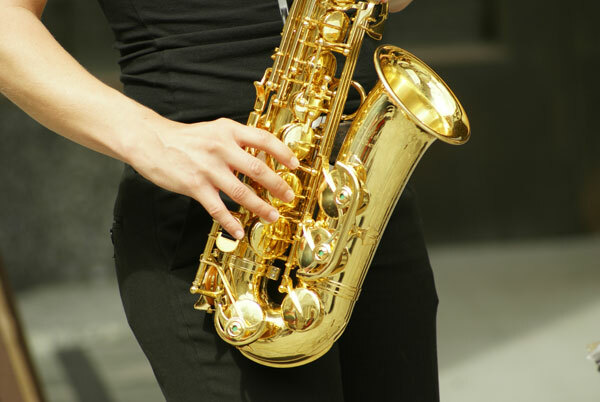 Regular practice is the best way to improve and gain the most from your music lessons. It’s like anything you do in life, from skateboarding to ballet dancing to flying a kite to digging the garden – the more effort you put in, the more fun you get out of it! What if I don’t want to carry on? A half term’s notice is required in writing for cancellation of any lessons. This is to be direct to the teacher. Lessons that cannot be attended for any reason must also be excused in writing, giving at least one week’s notice. Where possible a teacher will attempt to rearrange a lesson. If this is not possible then the lesson will be forfeited. If no notice is given then the lesson will also be forfeited, but teacher’s will always try their best to accommodate in the case of illness etc. Absence due to holidays or statutory exams/tests will not be excused or rearranged by the teacher unless one month’s written notice is received. Will tuition be delivered in a similar way to before? Yes – see our tuition rates for number and duration of lessons. Teachers will negotiate times and timetables direct with schools, avoiding complexities caused by working through a central administration system or office. Teachers will also deal directly with parents/clients on any issues to do with music education or any concerns. Lessons will normally be during school hours, although some of Music Devon’s musical opportunities will, in partnership with other organisations, be for out of school and wider community musical activities. What else will Music Devon offer? In addition to maintaining the “status quo” in instrumental music tuition, Music Devon has a vision for wider musical opportunities, in line with the Government’s “Music Manifesto”., and by working in partnership with other providers. It can also deliver curriculum support and music making activities with SEN and early years clients. Music Devon will post any new provisions and visions on its website, and by email/snail mail or by press release. Can schools be pro-active in Music Devon’s activities? Yes. We want to hear your ideas and vision for where we can move forward in music education together. Please email or fax us with any ideas or projects with which you would like us to collaborate. See “contact us”. Will Music Devon take away the billing and admin from the school? Yes. That is one of the key benefits to school/parent and teacher. Payment can be made over the phone by Credit/Debit card, by cheque, or by online BACS payment – see your invoice or contact us for more details. How and when should payment be made? Payment must be made for tuition termly in advance. Only this way can Music Devon maintain a quality service to both student and teacher member alike. Half a term’s notice, in writing to the teacher , is required for cessation of lessons. A student can cease to have lessons during that time, but no refunds will be given. Will Music Devon teachers have full CRB checks? Yes. That is one of the criteria for membership of musicdevon. Rest assured no teacher will be offered without being fully qualified, able, and checked by us. Does it cost anything to register as a teacher? No, all teachers can register for free. Please click on the registration link above. Music Devon teachers agree to pay a flat subscription amount per teaching hour, once becoming a member and commencing their teaching with Music Devon. This amount is used to fund administrative costs including a manned office, liaison between schools/parents and teachers, introducing new work, and billing customers/passing payment to teachers on a regular basis. It also covers other benefits (see below). Administrative costs will be kept to a minimum for the benefit of all members of Music Devon. Music Devon will deduct this amount from the teacher’s payment for tuition. We are not a profit-making organisation – every penny that we make goes back into our company to help improve music provision in Devon. What are the benefits of becoming a Music Devon teacher? By belonging to the Music Devon co-operative you are helping to maintain standards and professionalism as an instrumental teacher. You are keeping music making alive in Devon and supporting fellow teachers, schools and students, ensuring that all those who want to learn to make and enjoy music, learn the musical skills necessary to play an instrument, and fulfil their musical and personal potential, can do so. You will have skilled advice from a pool of professional colleagues on all sorts of issues, including national and public liability insurance and tax. You will benefit from a range of discounted rates by belonging to musicdevon, including accountancy and related self-employment issues. You will have the headache of billing and paperwork taken away from you. You will have new opportunities by collaborating with partners in education provision in Devon. You will benefit from the mutual help and support that can only exist in a truly co-operative organisation. Do I have to be a qualified teacher? Music Devon teachers are all qualified teaching professionals. They will all have current enhanced CRB disclosures, have teaching experience and qualifications or experience, and will have demonstrated their instrumental skills to us as well as their teaching professionalism. These qualifications can and will vary. Teachers without QTS will be considered, providing they fulfil Music Devon’s criteria. Demonstration of their knowledge, skills and experience should be excellent. Being a professional and holistic practitioner are the key elements of being a Music Devon teacher. References will be sought and taken from all teachers, and all teachers will be considered on their individual merits. Music Devon will pay all teachers directly, on a monthly basis. Payment details can be arranged to suit but monthly payment by direct credit will be the preferred option.